Bespoke features such as landscape screens can offer functional outdoor solutions for your backyard. 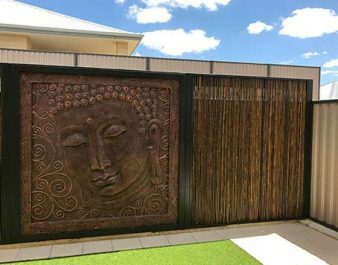 These screens can help improve privacy and cover unsightly fences and sheds which don’t match your outdoor entertainment area’s design. If the eyes are a window to your soul, landscape gates and garden gates are a window to your garden. Although a gates primary function is to protect your garden and keep unwanted pests out, it shouldn’t be neglected as an opportunity for design. 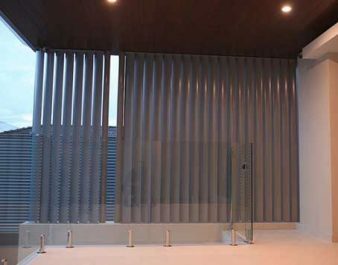 Louvres can have a significant impact to the design and architecture of your home. They are available in many materials and colours and can offer a welcome contrast to the overall landscaping of your outdoor area while complimenting the aesthetic of your home. At Sustain we believe that great landscaping starts with great landscaping design. The foundation of great landscaping is to be able to see the big picture even when there is nothing but soil on the ground. Our innovative philosophy means we recognise and capitalise on the vast capabilities and possible limitations of every home. We have a network of talents that will look at the unique qualities of your Perth landscaping site and customise a plan that will look visually stunning and be a practical addition to your lifestyle. Perth has a generally dry climate, therefore any Perth landscaping needs to take this into account. Well thought out, stunning gardens are just the beginning when it comes to landscaping. We look at how all the elements of you out door area will work together. We can help you get in contact with experts that will assist you choose plants and flowers based on the your existing or new structures such as patios and decks. By focusing on enhancing your homes visual appeal you will not only be left with an incredibly beautiful space, but you will also be adding value to your home for the future. It’s this attention to detail and connections with leading experts in the industry that sets us apart from others in the Outdoor Living industry in Perth. We look at all landscaping elements not just flowers and grass. 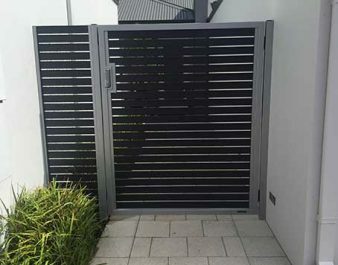 Small features such as fencing infill, louvres, landscape screens, and gates are what makes the difference between a good, and a great outdoor area. We work with the best suppliers to bring you the finest quality products, which will be welcome additions in your outdoor area. At Sustain Patios and Outdoors, we’ve developed a reputation for creative, innovative, vibrant and visually appealing outdoor living solutions with enduring appeal. The standard we’ve set for ourselves, our suppliers, our networks, our workmanship, and our service is second-to-none. We never compromise on quality and always create landscaping designed to last. Our holistic approach to landscaping and design means all of our projects are fluent and compliment your existing home. With a custom outdoor transformation coordinated by Sustain you will be showing off and enjoying your private oasis for years to come.